Like you, I’m passionate about public education. That’s why every day at The Education Trust-Midwest, my organization and I are working tirelessly to ensure that every Michigan student has access to a great public education. Since late last year, our work has reached hundreds of thousands of Americans and beyond. 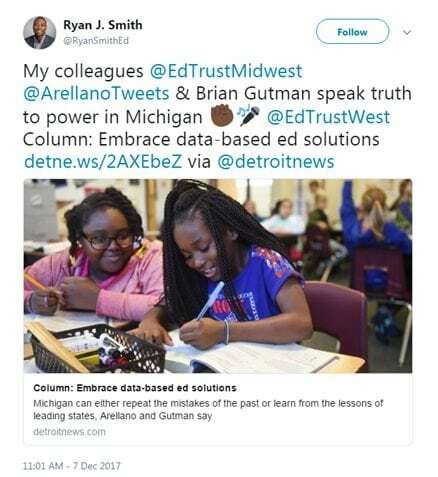 Indeed, from The New York Times to NBC News, ETM’s reports have been covered by America’s top journalists to inform critical conversations about the future of public education not only in Michigan, but our entire country. Our ground-breaking research was used to inform members of Congress and referred to by bipartisan leaders throughout the last year. And at the state capitol, we’ve advocated for greater investment in third-grade literacy efforts and best practices alongside civil rights, business and other leaders. 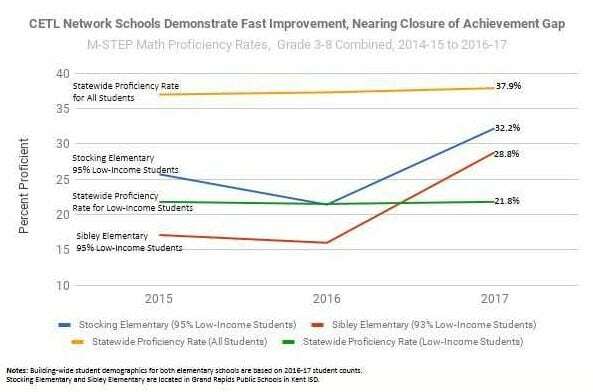 In Michigan’s high-poverty schools, our team of veteran educators is working alongside talented principals and teachers to ensure those schools have the improvement systems, support and capacity they need to teach all students at high levels. Quality public education is not just important to our democracy. It’s essential. 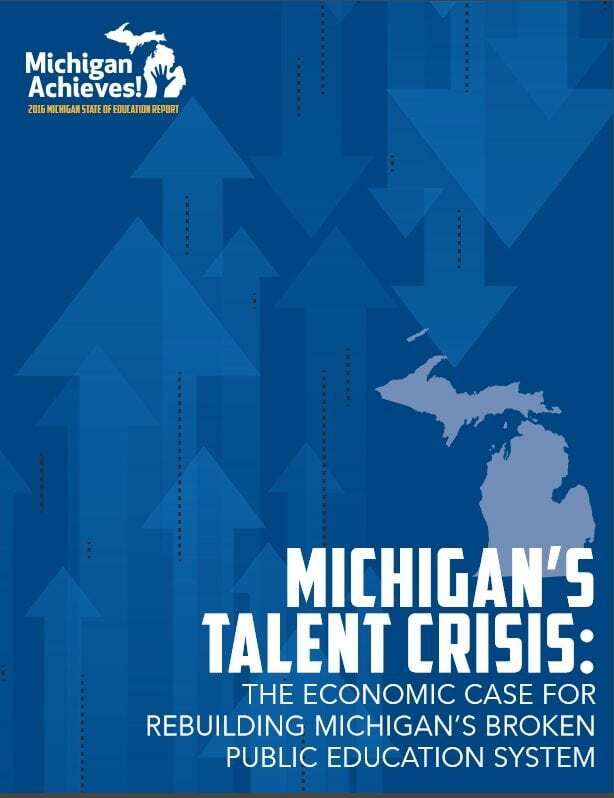 It’s the future of our country and our state, as Michigan transitions from a post-industrial economy to a global knowledge-based economy. Now more than ever, the work of the Education Trust-Midwest is needed. 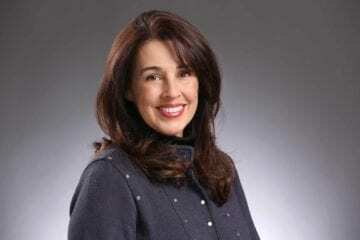 No one else serves as the trusted non-partisan center for education expertise, data and analysis to Michigan’s policymakers, business and civic leaders, educators, media organizations, K-12 and other stakeholders. 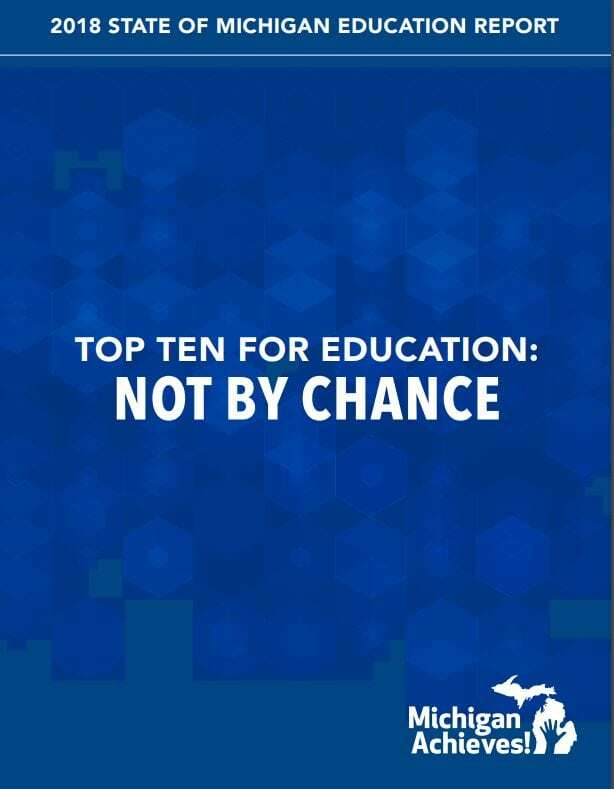 We are leading the conversation on how to make Michigan a top ten education state for all students. Please help us build this movement. Give now. Thank you for your commitment, passion and attention to public education. And thank you for your partnership!